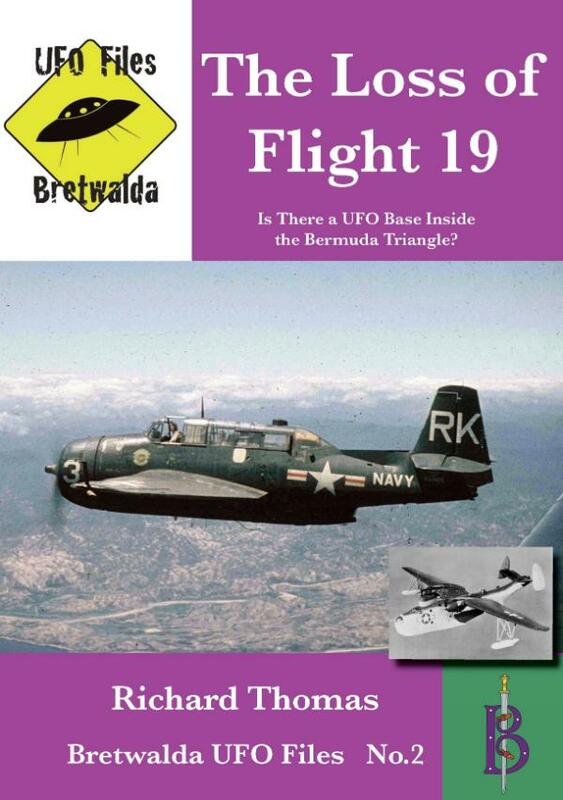 The Loss of Flight 19 - Is There a UFO Base Inside the Bermuda Triangle? The disappearance without trace of 5 US?Navy bombers off the coast of Florida in 1945, followed by the search aircraft sent to find them, is fairly well known. What is not widely appreciated are the clues that link the loss to speculation that there might be a suboceanic base for UFOs in the western Atlantic - right where the ominous and mysterious Bermuda Triangle is to be found. Perhaps the most intriguing and famous disappearance in the Bermuda Triangle, occurred just after WWII on December 5, 1945, when an entire squadron of aircraft vanished without trace and no clue as to what happened to them. Of course, this was the infamous Flight 19, which, more than any other case, brought the Triangle into popular consciousness, sparking all kinds of explanations. The strangest and most interesting being the theory that they were abducted by aliens who have a base somewhere in the Triangle, interesting because the alien/UFO theory was popularized by Stephen Spielberg in his 1977 film "Close Encounters of the Third Kind". Speculation about alien bases anywhere on Earth might sound extraordinary but many serious UFO researchers believe it would be a logical step for any space travelling race visiting Earth to take. In this book we will be examining the famous Flight 19 case and considering whether the UFO/alien base theory could explain the disappearances in the Bermuda Triangle, or whether there is a more rational explanation. Chapter 3 - Is There A Rational Explanation? Chapter 4 - Could There Be An Alien Base Inside The Triangle?